Due to a series of extenuating circumstances, Bertie Wooster, recently returned from a very pleasurable sojourn in Cannes, finds himself at the home of Sir Henry Hackwood. Bertie is, of course, familiar with the set-up at a country house. He can always rely on Jeeves, his loyal butler to have packed the correct number of trousers and is a natural at cocktail hour. But this time, it is Jeeves who can be found in the drawing room, while Bertie finds himself below stairs. 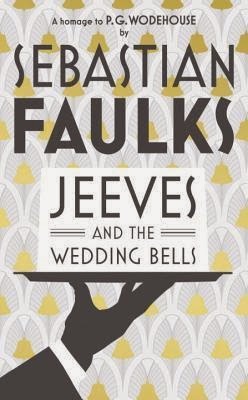 Jeeves and the Wedding Bells is a marvellous addition to the canon. Faulks captures the style and spirit of Wodehouse perfectly and it is wonderful to see Bertie up to his usual blunders under the watchful eye of Jeeves. There is plenty of humour, a fun story and well-crafted characters both old and new. This book is a must read for fans of the Wodehouse books and is written in such a way that it could also be enjoyed by those coming to the book with no knowledge of the prior works.